Every two years, the World Chess Championship takes place to determine the best player in the world. Before that occurs, a Candidates Tournament is held to determine who gets a chance to unseat the current champion. This year, the Candidates Tournament will be held in Berlin, Germany from March 10-28. The current champion is chess prodigy Magnus Carlsen of Norway. Whoever wins will get to challenge him in a twelve-game match in London in November. 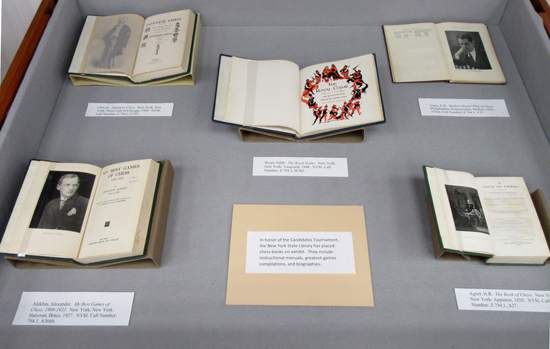 In honor of the Candidates Tournament, the New York State Library has placed chess books on exhibit. They include instructional manuals, greatest-games compilations, and biographies. Most of these books are available for loan. Edge, F.M. Triumphs of Paul Morphy. New York, New York: Appleton, 1859. NYSL Call Number: Z 794, E23. Reinfeld, Fred. 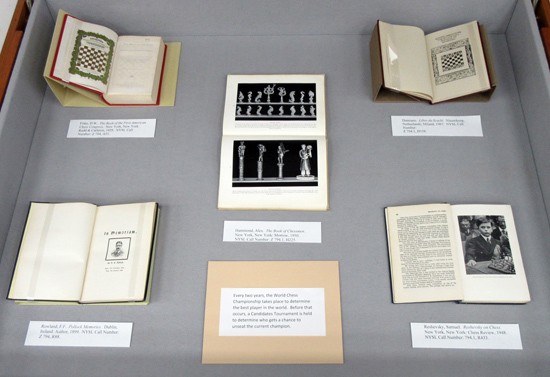 Treasury of Chess Lore. New York, New York: McKay, 1951. NYSL Call Number: Z 794.1, R36t. Bird, H.E. The Chess Openings. London, United Kingdom: Dean and Son, 1877. NYSL Call Number: Z 794.1, B61. Clarke, P.H. Mikhail Tal's Best Games of Chess. New York, New York: Pitman, 1961. NYSL Call Number: Z 794.159, T152. Fiske, D.W. 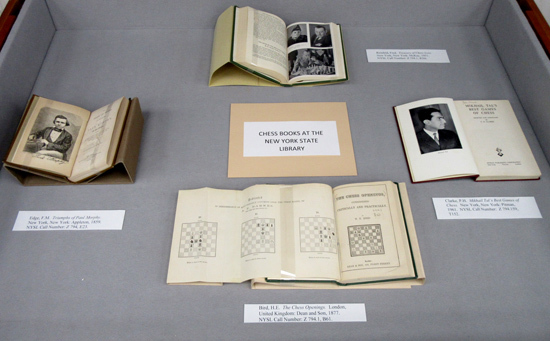 The Book of the First American Chess Congress. New York, New York: Rudd & Carleton, 1859. NYSL Call Number: Z 794, A51. Rowland, F.F. Pollock Memories. Dublin, Ireland: Author, 1899. NYSL Call Number: Z 794, R88. Hammond, Alex. The Book of Chessmen. New York, New York: Morrow, 1950. NYSL Call Number: Z 794.1, H225. Reshevsky, Samuel. Reshevsky on Chess. New York, New York: Chess Review, 1948. NYSL Call Number: 794.1, R433. Cho-yo. Japanese Chess. New York, New York: Press Club of Chicago, 1905. NYSL Call Number: Z 794.1, C545. Alekhin, Alexander. My Best Games of Chess, 1908-1923. New York, New York: Harcourt, Brace, 1927. NYSL Call Number: 794.1, A366b. Weart, Edith. 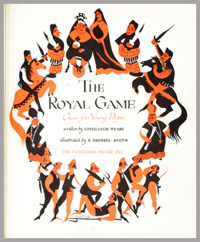 The Royal Game. New York, New York: Vanguard, 1948. NYSL Call Number: Z 794.1, W362. Yates, F.D. Modern Master-Play of Chess. Philadelphia, Pennsylvania: McKay, 1930. NYSL Call Number: Z 794.1, Y31. Agnel, H.R. The Book of Chess. New York, New York: Appleton, 1850. NYSL Call Number: Z 794.1, A27.